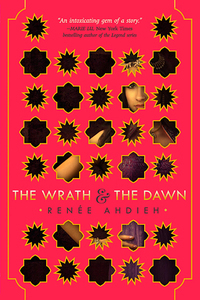 Interview With Author Renee Ahdieh on "The Wrath and the Dawn"
This is the year of the fierce YA heroine. In fact, it's one of the many things to love about The Wrath and the Dawn, a newly released young adult book. The story is an imaginative retelling of the classic tale One Thousand and One Nights and stars the fiercely loyal and savvy Shahrzad. Fans of strong characters and fairytale retellings will love this book. I talked with The Wrath and the Dawn author Renee Ahdieh about diversity, favorite literary heroines and the book community. What drew you to the One Thousand and One Nights story? RA: The answer is twofold--I'm the child of mixed race, and I've always been drawn to different worlds. When I was younger, it struck me as odd that there weren't many diverse books readily available for kids. I know I really wanted to feel like the heroine of my own story, so it was important to me to write a book reflecting people from all walks of life. Secondly my husband is Persian, and the first time I went to visit his family, I saw this amazing tapestry on the wall. From a distance, it looked like a hundred different vignettes strung together at random. When I asked about it, his mother told me they were tales from One Thousand and One Nights. From there I began to consider what the frame narrative of Scheherazade might look like as a young adult story. Then I simply ran with those thoughts! I loved how strong and courageous Shazi is. Who are some of your favorite literary heroines? RA: Thank you so much for saying that. I've always loved Alanna from Tamora Pierce's books. I'm also a huge fan of Scarlett O'Hara and Claire Fraser. Elizabeth Bennett from Pride and Prejudice was always a big heroine of mine, as were Anne Shirley and Jo March. More recently I've loved Katsa from Kristin Cashore's Graceling, Laia from Sabaa Tahir's An Ember in the Ashes, and Kestrel from Marie Rutkoski's The Winner's Trilogy. What other diverse books are you excited for people to read this year? RA: Gosh, there are so many wonderful books coming out this year! I adored Becky Albertalli's Simon vs. the Homo Sapiens Agenda and Ilene Wong's None of the Above. I also loved Aisha Saeed's Written in the Stars, and I'm insanely excited for the second book in Marie Lu's The Young Elites series. Additionally I'm really looking forward to Adam Silvera's More Happy Than Not. 2015 is shaping up to be such a great year for diverse books! What's been the most surprising part of becoming a published author? RA: I think I've been most surprised by how welcoming the community has been to new authors. It's not that I thought anyone would be hostile or anything, but I did worry a bit about being a new kid on the block, almost like the first day at a different school. It turns out my concerns were wholly unfounded. Most of the people I've met in the book world--authors, bloggers, librarians--are so enthusiastic and welcoming of anyone with a passion for books. In short, I feel like I've found my people, and it's so wonderful. What are you working on now and can you share any details about book 2 (I had to ask :) )? RA: Hahaha! I'm working on edits for the second book in the series, tentatively titled The Rose and the Dagger. I really can't wait to share it with readers, and I feel so lucky to have people already awaiting the sequel. For any writer, that's a dream come true. As for details, I can promise sword fights, swooning, and a possible tear or two!